What if videogames could allow us to live complex human relationships? 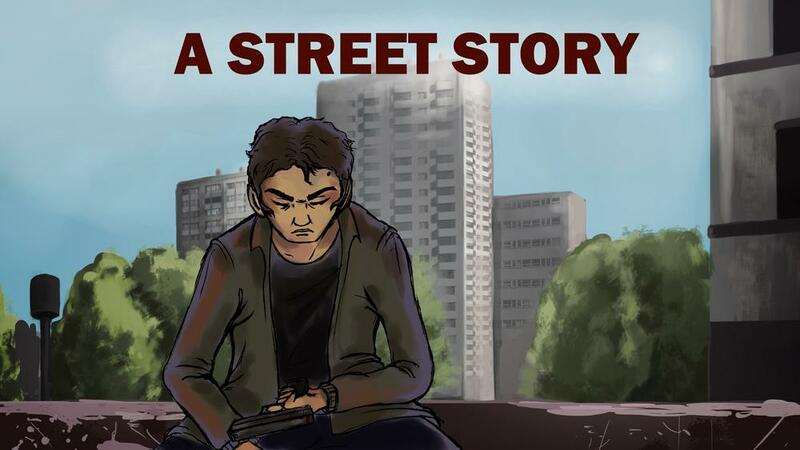 That's what we're trying to do with a A Street Story: a game which gameplay is as simple as his story his complex. The player is a young arab mobster from the Paris banlieue mixed in a dark plot involving gansters, cops and terrorists. Depending on the choices made by the player while interactively dialoguing with NPCs the outcome of the story will change. Our objective is to achieve an authentic interactive dramaturgy: the player can choose every line of dialog from the main character and the story is totally character-driven, without incredible twists or big blockbusters action scenes.